The crown is part of the Jolee's Ballet set. The pink fiber is being held in the corned by glue dots. background paper source unknown. 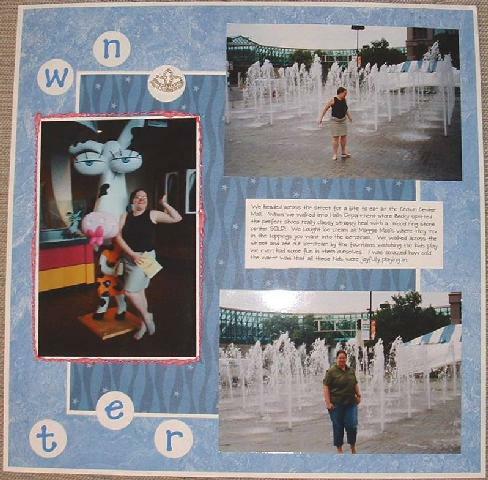 While in Kansas City we Enjoyed Crown Center the fountians were very fun to play in. We enjoyed watching all of the children playing in the water.